The more I travel, the more compassion and understanding I gain for other cultures. As travelers, we have the ability to experience the polished version of most destinations, carefully polished and maintained by our tourist dollars. But, if you venture beyond the resorts you’ll see an entirely different world – probably even in your own city. Billions of people are living on sparse and unhealthy resources. Because of cultural traditions, repression, or lack of education, so many do not realize opportunities to change their path. Sadly, this is a mindset can be carried on for generations. Handmade, 100% vegetarian, ethical buying & zero animal testing. 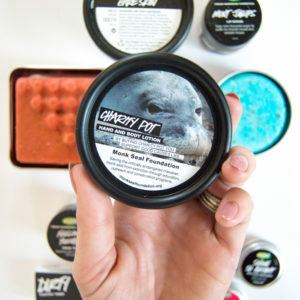 Lush also has a variety of charitable incentives for shoppers including their Charity Pot, which has donated more than $10million to over 850 grassroots charities in 42 countries. Products handmade by artisans from around the world. Founded on fair trade principles, The Little Market works to improve the quality of life for artisans and their families. Offers a platform for ethical and socially conscious fashion labels from around the world. Shop from a variety of lifestyle brands and learn about their individual missions. I actually got a chance to work with the founder of Market Colors while living in Orlando. She is an ambitious entrepreneur with a powerful spirit for serving others. Market Colors was created to make a lasting impact on families throughout Africa by selling their handmade creations. This mission of Purse & Clutch is to help support sustainable, long-term employment for men & women with limited opportunities to connections to international markets. Well Designed. Affordable. Ethically Made. Each of their products are handcrafted from sustainably sourced bamboo. In addition to being eco-friendly, Panda provides eye exams to someone in a developing community for every pair of sunglasses sold. Also, for every Bamboo Watch sold, Panda provides the Gift of Education to developing communities via their partnership with Pencils of Promise. Based in Guatemala, Hiptico leverages the creativity of indigenous artisans to create pathways to empowerment. Each purchase supports a Guatemalan family while honoring Mayan culture. Hiptico believes that their business model has the potential to shift the social and economic capacity of future generations.